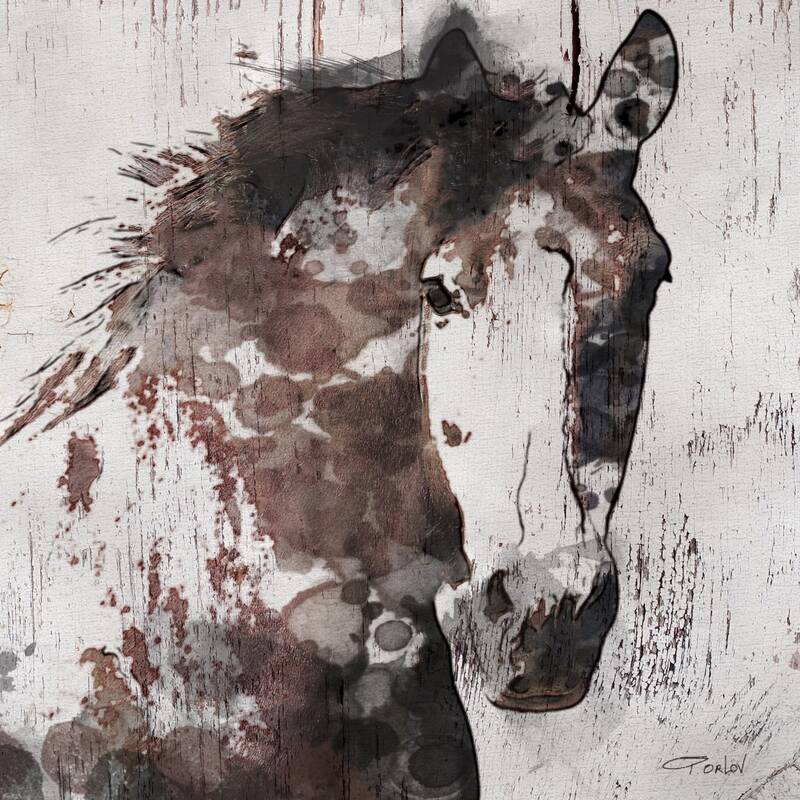 So striking, this is my Farmhouse Horse Painting – a canvas print of my original artwork. 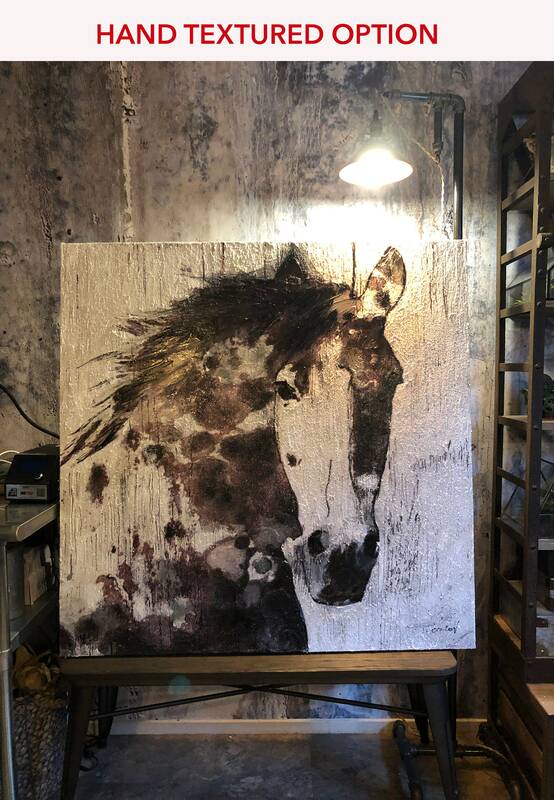 I also give you the option to have the print hand embellished, which is essentially painting over certain areas of the print with additional brush strokes, giving the impression of an original painting. This is a high quality 1.5" deep gallery wrapped canvas print. 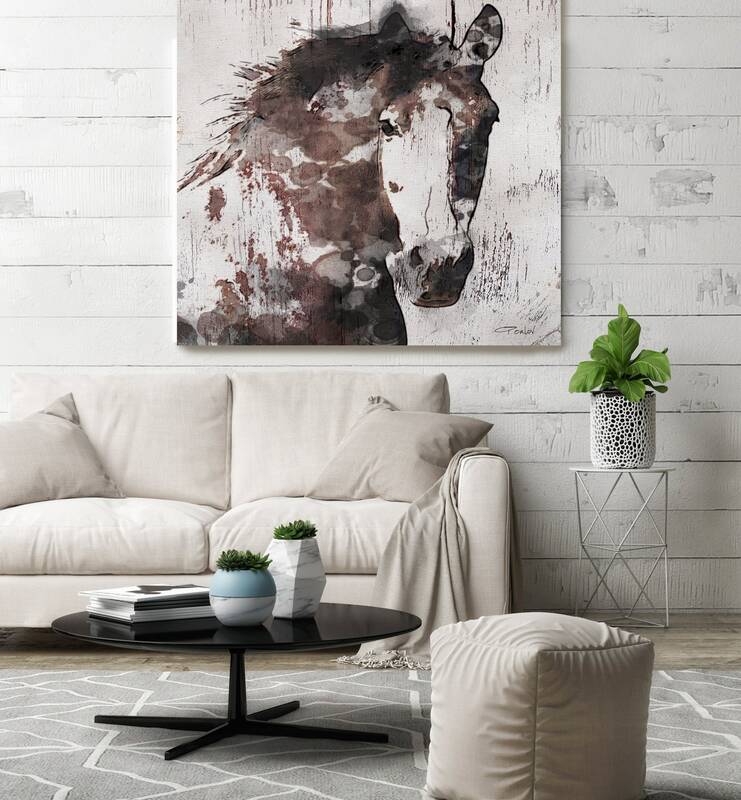 No need for a frame - just hang it and love it. 7 sizes available from 16" x 16" to 50" x 50". Artwork is carefully packaged for safe delivery. 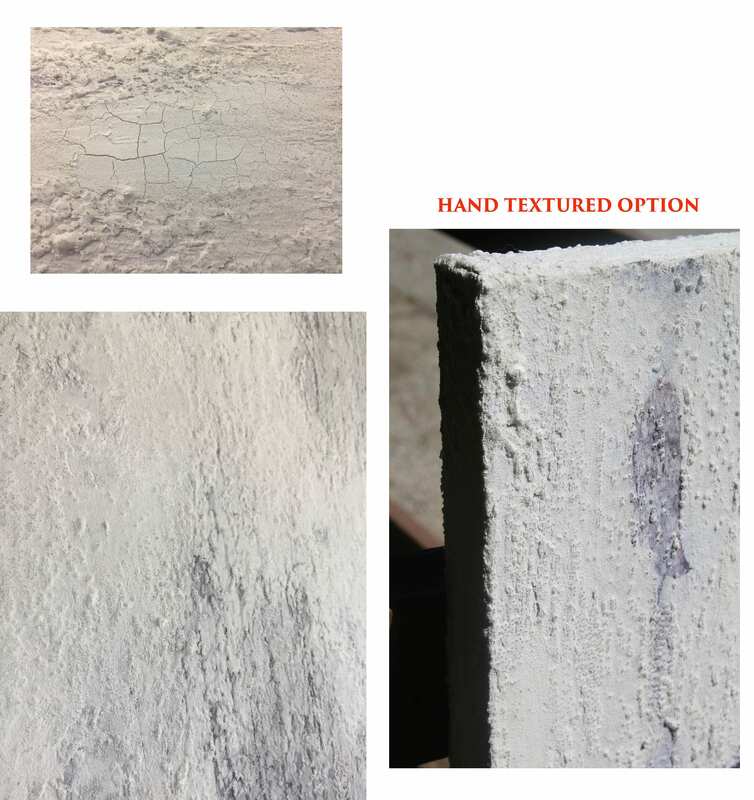 Processing time is 7 to 10 business days, 14 to 21 business days if you choose the hand embellishing option. Handmade in the USA.